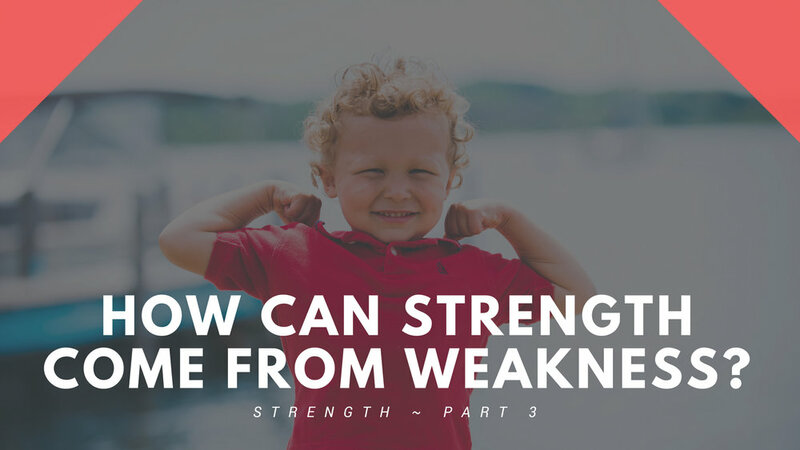 I ended last week’s blog with a reference to the apostle Paul and how when we are weak, God is strong. How do these two things fit together? Am I supposed to work on getting stronger, or embrace my weakness? Are Bigger Muscles Really The Goal? An athlete prepares for a race by building up their muscles. So if we are to prepare for hard times by “working out”, what needs to get stronger to avoid “fainting”? I’ve heard many sermons about growing in patience, growing in love, putting off the old man, crucifying my carnal desires. The implication seems to be that if I just pray and study enough, and use enough self-discipline to practice these virtues, I will grow in them. Well, yes. There is value in this. There are scriptures that speak of it. What are we really exercising when we practice these things? What is the Source of love, joy, peace, patience, kindness, and all the rest? Too often in the past I’ve assumed I’m to build up my own personal love-muscles, kindness-muscles, godliness-muscles, so that I don’t “faint” and need to ask God for help as often. But when God asks us to grow in these virtues, His goal isn’t for us to be “so strong” by ourselves that we don’t need Him anymore. In fact, that’s impossible. These virtues spring from the Spirit of God. And the Spirit of God is inside of us. TAKING IT TO HEART: Are there some areas where you’ve been trying to get stronger on your own? Dealing with problems in your own strength? Are you ready to lean into God and shift your striving to drawing closer to your Source of strength?